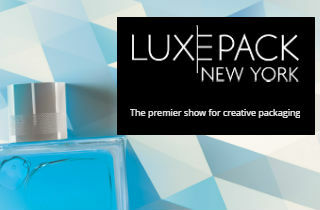 Luxe Pack New York is the East Coast premier tradeshow in the U.S. dedicated to creative packaging. Luxe Pack gathers together the talent, passion, and expertise of the best packaging and material manufacturers in the world. Luxe Pack New York is an exclusive event for creative packaging solutions for the beauty, fragrance, wine & spirits, and fine foods industries, where today’s top packaging professionals and luxury brands executives gather to offer the most impactful platform for business development. Luxe Pack New York 2018 - Another successful edition! Luxe Pack New York 2016: A Wave of Newness for 2016!